Time for another noob question, Will Crye Precision Multicam (straight off the Crye website) match up with my Massif Multicam? I would go with Motorola, they give you the most options when or if you decide to get a headset. Will the KWA lm4 accept airsoft rails? I have heard it accepts real parts but I havent seen anything about airsoft parts. Blade got deported back to Columbus. He means like could an airsoft rail system be put on the KWA LM4 or does it need a RS rail system. That being said, I have no clue which one it takes. It should, yes. Massif Multicam is CP licensed, I think. Last edited by Panda; 12-08-2012 at 05:46 PM. Not necessarily. Even though it's licensed, doesn't mean it's made from the same material. There will be slight variations from different companies and materials. For the most part, it'll vary enough that... no one gives a s***. It's not gonna be like 100% perfect color matching, but it's close enough so that unless you're closely analyzing the color palettes you won't notice/care. Now, if it was chinese Multicam.... that stuff is bad. The point is who gives a f***. But...but, I won't look like a solid wall of multicam. Need...more like want...a half decent magnified scope with an eye-relief appropriate for an M14. What get? I've heard good things about the Visionking scopes, worth a try over any replica M3. Last edited by mr_kong; 12-09-2012 at 12:46 AM. Can MK17 mags fit in m14 pouches? Gunpr0n to exceed word limit. So I know this isn't a stupid question, but I would just like to applaud the success of this thread. I'm sure it has kept the forums clear of my threads that wouldn't need to be a whole thread. And I feel people give quick, good responses. Absolutely, the community nailed this one. Grt jorb guys. I do really like this thread, though. I'm surprised it wasn't made earlier. Ok now that goes back to my comment. Is there a difference between an airsoft rail and RS? Yes, specifications differ between them. It's kind of like Mil and LE buffer tubes - different sizes, and often different fits even with the same size. As well, lesser QC with airsoft rails. From my experiences, KWA AEG's threading is slightly off, so you might have trouble with some ACM barrel nuts. I'd recommend buying a Madbull rail system and simply reselling it if it doesn't fit, Madbull tends to hold their resale value well and there is plenty demand for them. From them LM4 sub forum. Hate to hotlink, but it really is the best answer. 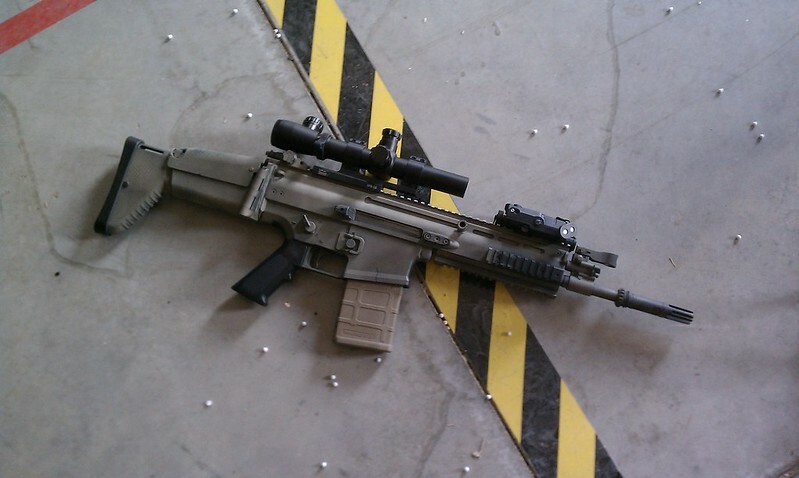 Simply put, airsoft RIS varies from RIS to RIS even sometimes within manufacture. RS RIS varies, however with RIS that use factory barrel nut (TRX ALPHA etc) or non free float delta ring mounted rid (KAC RAS) you are good to go. I have the old style Madbull TRX on my lm4. The barrel nut took some torque to get on, but it wasn't terrible. This is a stupid question, but I am trying to get an highish end gun around $200-$250, and I was wondering who has had experience with ICS and G&G, and which internals are better (as in more reliable, and overall quality). I am just now getting into the high mid level- high level guns so if anyone can help me out, it would be appreciated. And YES, I have done research but I would like more opinions. "Was that a bullet that just went through your head?" "Gotta love being a zombie!" I would recommend G&G out of those two, And for a little extra cash I really recommend G&P.